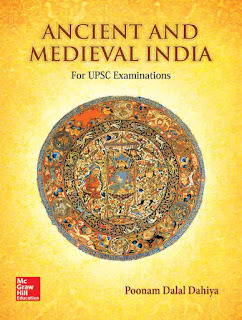 Today we are Share Ancient & Medieval India By Poonam Dalal Dahiya Book. Hope it will add some fuel to Your preparation.Link is provided below . Ancient and Medieval India shall be meant for candidates from the state of Union Civil Services as well as various state public service examinations. The book covers the complete syllabus of ancient and medieval history for the Main exam union civil service and has material that is immensely helpful for the Prelims as well. The contents of the book are very relevant as they are developed after thorough analysis of the current syllabus and questions asked in previous years. Moreover, the book also consists of numerous practice questions, chapter wise, making it more user-friendly. The text will come in bi-colour and there are detachable charts included that students may tear out and use as a mnemonic by placing them in front or pasting them on a wall. Get TNPSC Annual Planner 2019 here. Applicants can check Upcoming TNPSC Exams Schedule & Notification. More details about Tamil Nadu Govt Jobs Latest News.